Last month, the FryskLab, on its MakerTour 2015, passed through Luxembourg and stopped at the FabLab in Belval, Luxembourg. (N.B. : if you do not know what a FabLab is, I invite you to first read our article on the FabLabLux opening). The FryskLab visit was a unique opportunity to have a thorough look at one of the only mobile FabLab’s currently in existence in Europe. FryskLab is an initiative by the Library Service of Fryslân (a.k.a. Friesland or Frisia) in the Netherlands. As libraries and Makerspaces seem to be continuously growing closer or even be merging together, the officials of the Bibliotheekservice Fryslan had the brilliant idea to demonstrate how the core values of (i) access to information, (ii) public openness, (iii) freedom, (iv) sharing and (v) collaboration existing in libraries actually overlap with the concepts taught in Makerspaces and FabLabs. Taking into consideration the rural area of Frisia, the genius idea was launched to promote the concept of digital fabrication and its core values via a FabLab on wheels. 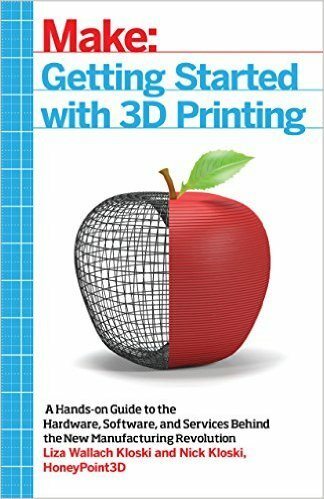 This way, instead of teachers having to organise complicated and lengthy school trips to visit a faraway FabLab or Makerspace, the FabLab can drive to the interested schools and Makerspaces. This idea was finally materialized trough the conversion of an old Librarymobile (i.e. an old library truck) into an autonomous, mobile FabLab. 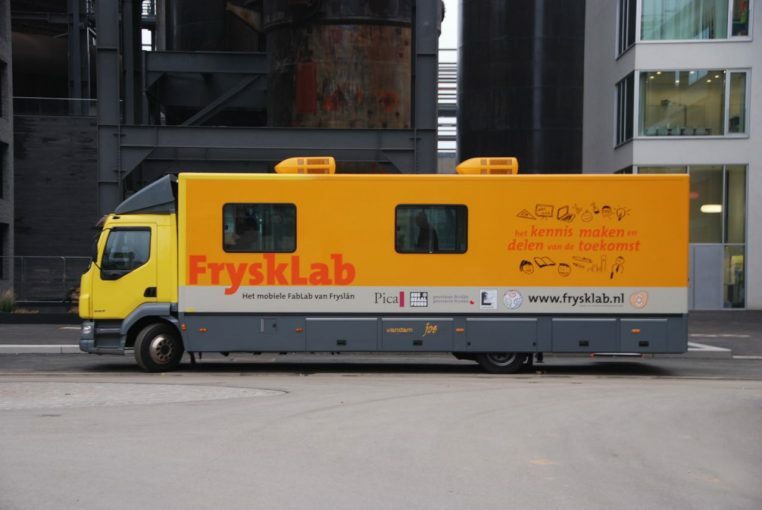 After touring through the Netherlands, the FryskLab launched its MakerTour 2015, where this mobile FabLab was driven over 3500km through Germany, Austria, Italy, Switzerland, France, Luxembourg, Belgium back to Holland, stopping at Makerspaces, FabLabs and libraries. The whole action was a big success and received a lot of media coverage. But before all, it reached a huge lot of people which may otherwise not have gotten into contact with those new technologies. The FryskLab is equipped, as every FabLab, with a common set of core tools, like a computer-controlled laser cutter, a CNC, a vinylcutter, three 3D printers, etc. It even has a 3D scanner, lots of computers/laptops to teach the relevant software for the machines and an electronics corner. The machines are all of desktop format, but the mobility of such a mobile FabLab comes at a price. Nevertheless, the FryskLab is a fully functional FabLab and the things created by school children or other visitors are quite impressive. I arrived quite late at the scene, but the guys from the FryskLab team nevertheless agreed to give me a personal tour. After a quick introduction to the bus, I had the right to tinker a bit with all of the machines and, as usual, I asked about a thousand questions. The team around the FryskLab is absolutely great and not only did I learn a lot that evening, but I had quite some fun too. I was impressed at the ingenuity on how the bus was organised and setup, especially seeing how all of the machinery and their accessories were efficiently fixed for travel. After arriving at its destination, the bus is ready for visiting within minutes! Considering that the whole idea started with some idealists wanting to bring digital fabrication to a bigger mass of people, notwithstanding their geographical location, I consider the FryskLab a real success story. Not only do I thoroughly support ideas promoting digital fabrication and its core values, but the idea of creating a mobile FabLab in order to reach people which are geographically distant or which otherwise would not or could not get to a FabLab is brilliant. There is just one small comment I would like to address to the people behind the FryskLab: nearly all of the information published on FryskLab is in Dutch only (which I do not speak). 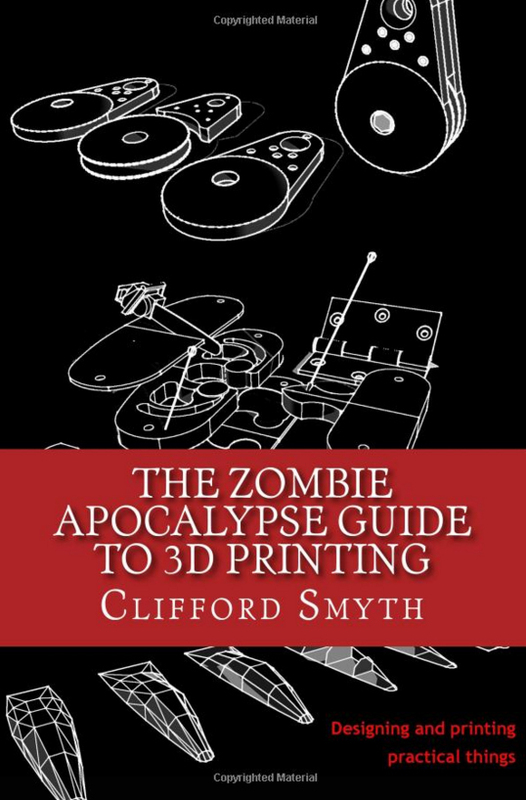 I would recommend publishing this great concept also in English, as this would actually ensure an even broader media coverage and bring you even more interested visitors. For anybody interested reading a bit more about this mobile FabLab, please check out their internet page. My thanks for Koen for granting me the right to use some of his excellent photos (all the low-res one’s are from my mobile, sorry for that).